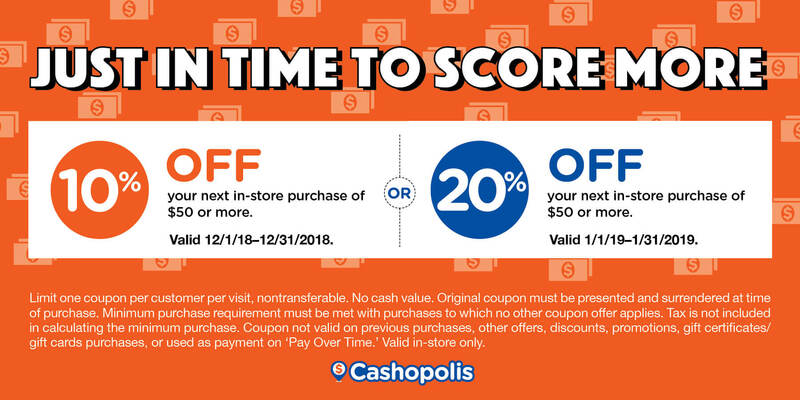 This coupon can ONLY be redeemed in Dec of ’18 and Jan of ’19 when you spend at least $50. If you use this coupon in Dec, you’ll get 10% off of your purchase price. And if you use it in Jan 2019, then you’ll get 20% off your purchase price. Guys, the cash is here. And our buyers are eager and ready to lend an ear. In Saskatoon, come on down to 1521 Idylwyld Dr. N to sell us your unloved item(s). In Regina, come on down to 2327 2nd Ave to sell us your unloved item(s). And if you can’t make it in person, no worries. You can also easily submit your item(s) for an appraisal online: Saskatoon or Regina.